Whether you need basic "take out" menus, or an elaborate laminated, multi panel full color look, we can produce it for you. We can produce them in long or short runs. 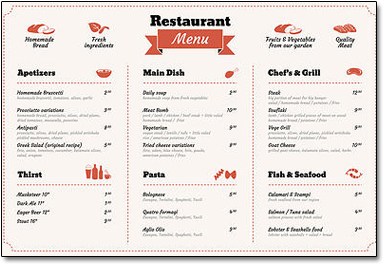 With menu prices often requiring changes from time to time, you can print as many as you need in the near term. We can store your file and make changes you request, then printing an updated version of the menu when the need arises. Need takeaway literature at your place of business, whether "on the counter" or in a literature rack? We can customize and produce what you need. Some retailers use postcard-type flyers on the counter, and some use brochures. We can help you with any of this. 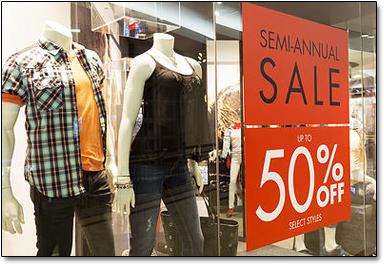 Window signage and suspended signs are also available with different media and finishing options to work with your retail environment.